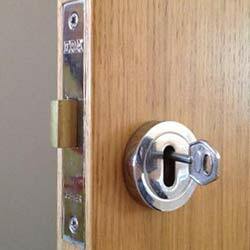 Need a 24Hr Locksmith Service South Ealing W5 & across West London? Premier Security London is a team of fully qualified and insured London locksmiths providing a 24hr emergency locksmith service for homes and commercial premises in South Ealing W5 or anywhere throughout West London. We can arrive in South Ealing W5 within 30 minutes, fully-equipped to carry out a full range of 24hr locksmith services including commercial locksmith requirements for London shops, offices and nightclubs in South Ealing W5 and across West London. We offer guarantees on all key-cutting services, lock repair, lock replacement and lock installations carried out at your home in South Ealing W5. Whether you are looking for a 24hr commercial locksmith for your workplace in South Ealing W5 or a 24hr residential locksmith for your home anywhere in West London we can have someone to you in no time at all. We are Police Certified and our team is made up of expert London locksmiths, glaziers and carpenters in South Ealing W5 and operating throughout West London in work relating to door, window and frame damage. We deal with burglary repairs anywhere in South Ealing W5 and across London, and act fast to ensure customer safety and satisfaction is maintained in South Ealing W5 and throughout West London at all times. Need locks or keys replaced in South Ealing W5? Lost home keys or office keys in West London? Don’t worry because Premier Security mobile key-cutting service in South Ealing W5 delivers residential and commercial lock and key services throughout West London! Our Premier Lock & Key Service London provides all locks compliant with current British Standards including light grade locks for residential properties in South Ealing W5 and a range of more robust commercial premises locks. Schedule a lock installation in South Ealing W5 with our local team of Police Certified London locksmiths operating in West London and throughout Greater London. We provide locksmith solutions to various commercial clients in South Ealing W5 and throughout West London including landlords, estate agents and other commercial establishments requiring a reliable commercial London locksmith service. Locked In or Locked Out of your Home or Workplace in South Ealing W5 or across West London? Don’t panic because we can be with you in South Ealing W5 in under 30 minutes and there is no call out charge. 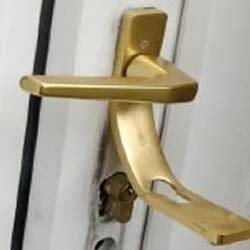 We are a 24 hour London locksmith service operating throughout West London and can deliver lock repairs, lock upgrades, new lock fitting/installation, lock replacement, lock picking and entry, lock manipulation, and rekeying locks too for residential and commercial properties in South Ealing W5 and West London. We have been opening and fitting padlocks in South Ealing W5 and throughout West London for 60 years and will deliver solutions to any type of padlock ranging from high security, anti-drill and anti-bumping Boron padlocks to garden shed padlocks and standard padlocks for luggage, small boxes and letter boxes throughout West London. We specialise in dealing with stainless steel & traditional brass. 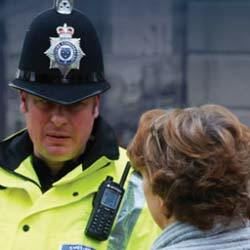 Premier Security is a Police Certified service in South Ealing W5 and operating throughout West London and London. 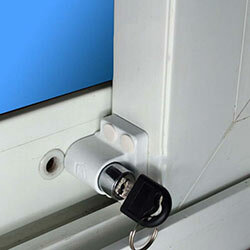 We also provide insurance rated security container padlocks if you are looking for a stronger solution. Our London Premier Security mobile key-cutting service South Ealing W5 will arrive fully equipped to deliver precision key-cutting, a new set of keys to replace lost keys, key duplication/copy service and broken key extraction at homes and commercial premises in South Ealing W5 and throughout West London. Premier Security locksmith services South Ealing W5 specialises in dealing with all key types including household keys, Chubb keys, window lock keys, safe keys, patio door keys, filing cabinet keys, office keys, caravan keys, cash box keys, locker keys and cabinet keys for commercial premises throughout West London! That’s a lot of keys but we have experience with all of these and more anywhere throughout West London and Greater London. Lost your keys & need a new set of keys cut in South Ealing W5 & across West London? 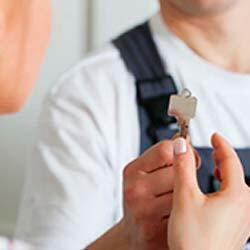 Premier Security London Locksmith services South Ealing W5 offers a range of key services to ensure your safety and the safety of your family or employees. If you have moved into a new home in South Ealing W5 or rented a new apartment anywhere in West London, leased a new commercial space in London or recently fired an employee, you should ensure that you are the only keyholder for your property in South Ealing W5 or throughout West London (along with any chosen keyholders). It is not unheard of for previous South Ealing W5 property owners, tenants, occupants, employees or contractors operating in West London and throughout London to duplicate a property’s keys, so take the necessary precautions to protect your property in South Ealing W5 or anywhere throughout West London. Remember; it is not always necessary to replace all the locks at your property. We offer a rekeying service which is a lot cheaper. Please contact us for expert guidance relating to your business and home security in South Ealing W5 or anywhere throughout West London. Key Stuck in a Lock at Home in South Ealing W5 or across West London? Broken Key Extraction is definitely a job best left for the professional local locksmiths in South Ealing W5 as we specialise in lock and key services throughout West London. Our Premier Key Extraction Service London is carried out with special keys and a variety of locksmith tools. Call Premier Security to get the job done without further damaging your key, locks or door at your home or commercial premises in South Ealing W5 or anywhere throughout West London. We have built our reputation in South Ealing W5 and throughout West London based on trust and customer care. We will continue to grow steadily in all types of security and locksmith work including lock repair, lock installation and precision key-cutting in South Ealing W5 and throughout West London. 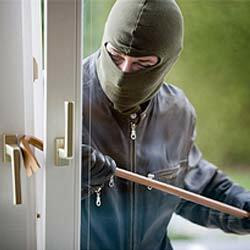 We believe in the prevention of crime and specialise in the installation of burglar alarm systems and other preventative security measures including boarding-up vacant properties in South Ealing W5 to prevent squatters and break-ins happening throughout West London. Premier Security London provides fully vetted and qualified safe engineers in South Ealing W5 for your security. Our safe opening services in South Ealing W5 are also available throughout West London, and include lock manipulation/replacement, weak-point drilling, scoping, safe repair, combination changing, electronic safe locks and safe key duplication for businesses and homes in South Ealing W5 and throughout West London. 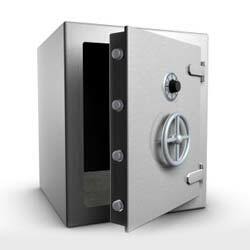 We care about your property and strive to offer non-destructive safe opening procedures wherever possible. Get in touch with our team in South Ealing W5 even if you just require an overall safe lock upgrade or safe installation anywhere in West London and London. Premier Security Locksmiths specialises in dealing with all types of locks for homes and commercial premises in South Ealing W5 and throughout West London. Need to Unlock, Repair or Replace Yale Locks, Deadlocks, Chubb, Mortice or Mul-t-Lock Locks in South Ealing W5? Here at Premier Security Locksmiths London we always have these locks available in a range of sizes according to operation and security risk. Our team of professional London locksmiths in South Ealing W5 can unlock, repair or replace your faulty locks and will provide you with a wide range of different locks to ensure your lock needs are met for your home or workplace in South Ealing W5 or throughout West London. Need to Unlock, Repair or Replace Ingersoll & Banham Locks in South Ealing W5 or throughout West London? Ingersoll locks are renowned for being high security and high quality locks fully approved by all insurance companies. Our team of professional London locksmiths throughout South Ealing W5 can unlock, repair or replace your faulty Ingersoll locks at your home or commercial premises in South Ealing W5 or anywhere across West London. Genuine Banham locks are available in a range of sizes and are considered the most reliable locks due to high quality and high security ratings. They are fully certified by the Metropolitan Police and fully approved by all insurance companies for areas in London including South Ealing W5 and throughout West London. Area2 locksmith services provides 24 hour key-cutting, lock repair, lock replacement and new lock installations to homes and business premises in South Ealing W5 including shops, offices, pubs, bars, nightclubs, warehouses and even schools in South Ealing W5 and throughout West London. Premier Security London lock specialists work in accordance with British Security Standards and install multipoint locking mechanisms to ensure your home or workplace remains safe in and around South Ealing W5. Multipoint locking mechanisms available for installation throughout West London include Winkhaus, GU Multipoint Locks, KFV, Paddock, Yale, Avantis, Avocet, GU Ferco, Maco, Roto, Safeware, AGB, Fuhr, Mila, Fullex, Millenco, Fix Asgard Multipoint Locks, Kenrick, Azbe, Elite, Enfield, Gridlock, Union Multipoint Locks and many more! Premier Security London lock specialists in South Ealing W5 offer 24 hour reliable commercial locksmith services to business premises throughout West London and London. Our experienced lock experts will open, fix or replace any type of container lock, industrial lock, circular key lock or storage facility lock and guarantee a fast-response in under 30 minutes. We know everything about the type of locks your property needs and will arrive fully-equipped to repair any broken lock including Lever Mortice & Sash Deadbolt locks, Thumbturn key locks, safe locks, Chubb locks; you name it, we stock it. Protect your staff and business premises in South Ealing W5 and upgrade your locks to meet British Security Standards. We offer a recommended 24 hour emergency commercial locksmith service throughout West London and London. Have you suffered an office burglary or smashed shop front? We can help. Claim your FREE Commercial Lock Survey in South Ealing W5! Premier Security London 24 hour locksmiths operate 7 days a week in South Ealing W5 and provide recommended locksmith guidance to homes and business premises throughout West London. 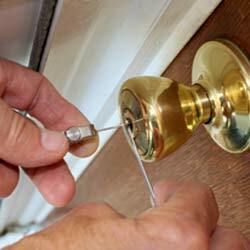 We will arrive fully-equipped to fix any broken lock or replace old faulty locks in under 30 minutes. We offer lock opening, lock repair and lock installation for locking door knob sets, lever door handles, security door chains, garage door locks and profile cylinders. Just get in touch with our team for specialist lock advice on your London property in South Ealing W5. 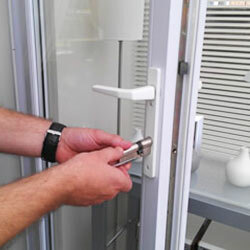 Premier Security Locksmiths also provides door repairs and replacements to homes, schools, offices and other commercial premises such as shops, restaurants, bars and nightclubs in South Ealing W5 and throughout West London. You can rely on us for a fast–response 24hr glazier if your windows have been broken or smashed and we will deliver a same day window repair and replacement service in South Ealing W5 and throughout West London. In cases where your property is open to further attack we will provide temporary solutions such as boarding up services in South Ealing W5 and throughout West London. Have you had your windows smashed at home in South Ealing W5 or have you arrived at work to find your shopfront smashed in West London? Our Police Certified Premier London Glazing & Boarding Up Service in West London covers various crime scenes including burglaries and break-ins taking place in South Ealing W5 on a daily basis. We provide London glass and glazing services to homes that need emergency burglary repairs in South Ealing W5 and also to various commercial clients looking for a reliable regular London glazier to attend in South Ealing W5 or throughout West London where required. Our residential and commercial 24 hour window and door boarding up and glazing service is made available in South Ealing W5 7 days a week and throughout West London and London. 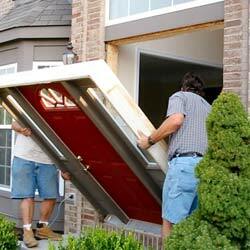 Need a door repaired or replaced South Ealing W5 or across West London? Are you looking for a locksmith in South Ealing W5 to repair your broken door or do you think a full door replacement is required? 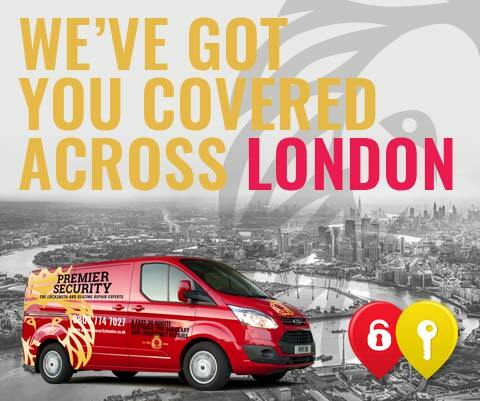 Either way Premier Security can help you anywhere throughout South Ealing W5 and across London. Our team of qualified and experienced locksmiths in West London can be with you anywhere in South Ealing W5 in under 30 minutes to deliver a high quality door repair service including emergency door repairs and door replacement in South Ealing W5 and throughout West London. Not only will we carry out a full door installation, we will also repair where possible and replace where required at your home or work premises in South Ealing W5 or throughout West London. Need a Window Repaired or Replaced in South Ealing W5 or throughout West London? Premier Security provides Window Repair and Window Replacement Services throughout South Ealing W5 and across West London. If you are looking for a 24 hour Glazier South Ealing W5 or locksmith to fix your broken window locks anywhere throughout West London; you have arrived at the right place. It is important to determine whether your window needs fixing or if you need a full window replacement for your home or commercial premises in South Ealing W5, then you can decide on how best to tackle the issue at hand. Our team of 24 hour professional London locksmiths and highly experienced glaziers across West London will provide guidance to help you make informed decisions where required.